We’re glad his specialty is secret service work. Fact is Martinis are supposed to be stirred — it’s one of the cardinal rules of cocktail-making. And if Bond didn’t know that, then we’re guessing you might not have known that either. So we’re here to share a few cocktail-making tips. With the help of writer and cocktail expert Robert Haynes-Peterson, we’ve put together a list of 19 rules of cocktail-making to help you master the craft. BONUS: Here are some substitutes for fancy cocktail equipment that you already own. 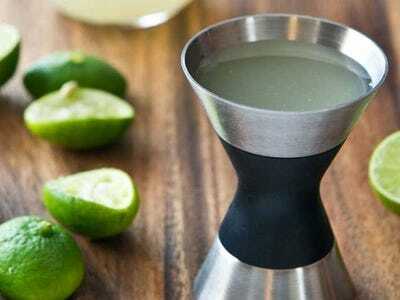 Instead of buying fancy cocktail equipment, you can use all of these household items to make your cocktails. Measure/jigger can be substituted with an egg cup. A cocktail shaker can be substituted with a thermos flask. A mixing spoon can be substituted with a long teaspoon or fork handle. A strainer can be substituted with a tea strainer.